As the Summit Racing Equipment Atlanta Motorama continues to grow each year, more car enthusiasts and owners are taking notice. Participants flock from all over the country to show off their prized vehicles. This year, a newcomer from Middletown, Delaware will make her Motorama debut. 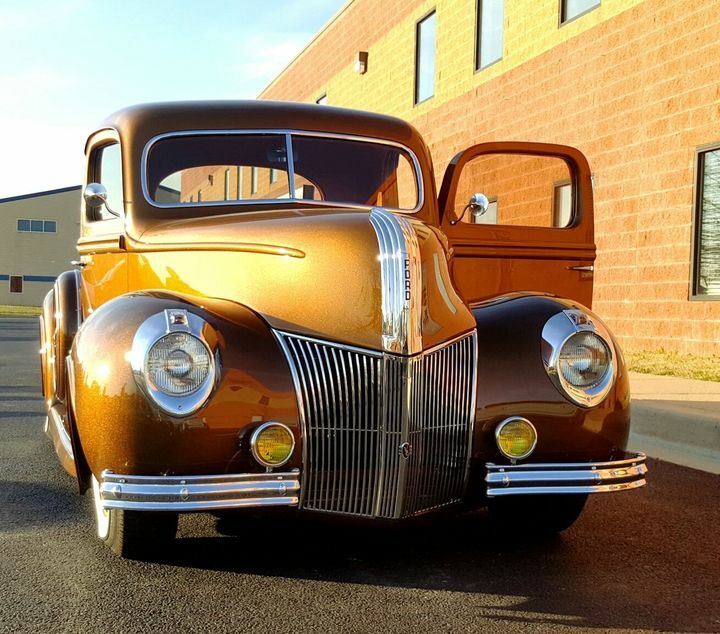 Meet The Gold Standard, a 1941 Ford Pickup. This work of art has been completely restored from top to bottom. Annapolis, Maryland native, and proud owner, Ed Sears found the skeleton of the truck in a barn seven years ago. He sought out One Off Rod & Custom Inc. in Middletown, to undertake this massive restoration effort. The project took several years but was officially completed on Feb. 24, 2017, and the wait was well worth it. The Gold Standard turns heads everywhere she goes and is already racking up the hardware. In 2017 alone, she won the Detroit Autorama Great 8 Award, 2017 Street Rod Nationals Builders Choice, and of course, the 2017 Goodguys Truck of the Year, awarded at the Goodguys 20th Annual Southwest Nationals. 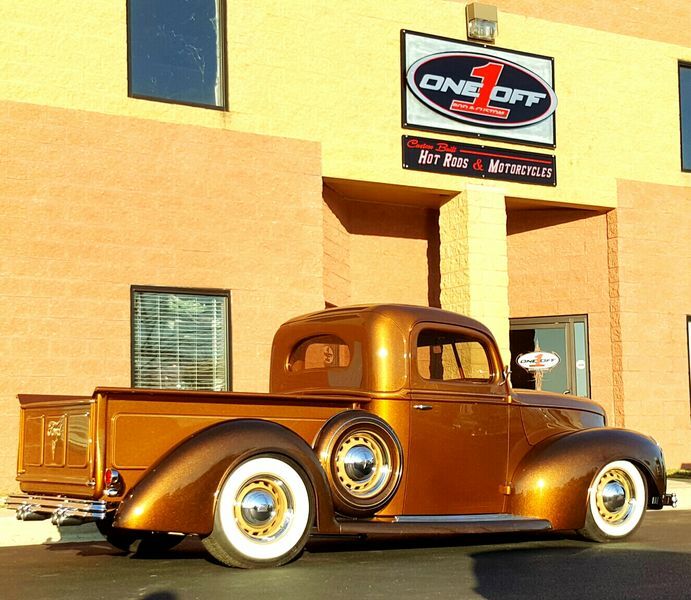 This 1941 Ford Pickup is loaded up with custom features fans will salivate over. Wilmington, Delaware native Jerry Campbell, handled the custom pinstriping that covers the entire vehicle - even underneath! Advanced Plating perfected the truck's beloved, shining chrome. The two-tone light and dark brown sugar paintjob, bird's eye maple covered steel bed, and the pie-cut, nosed, and sectioned hood is sure to attract all auto lovers. Plus, don't forget to check out the interior work done by Lucky 7 Rod Shop too! The WiFi controlled actuator that opens and closes the truck's hood and bed will be a sight to behold. Motor and gearheads alike will be very interested in the 8BA Mercury Flathead engine, handmade fuel lines, Kugal Komponents suspension, and Borg Warner T5 transmission. 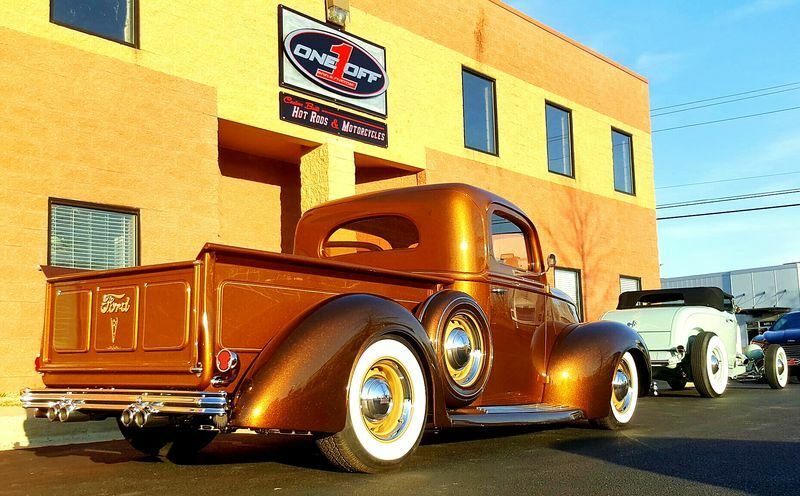 The hardworking crew at One Off Rod & Custom Inc. will be bringing The Gold Standard, along with their award winning 1932 Ford Roadster, "Loosie" to the 2018 Summit Racing Equipment Atlanta Motorama. This crew cannot wait for event attendees to gaze upon their masterpiece, "We can't wait to get the truck out there for more people to see and enjoy that haven't gotten a chance to see it yet. They're going to love what's under the hood and the bed!" Be sure to check out The Gold Standard in the Show Car Garage at the 2018 Summit Racing Equipment Atlanta Motorama, April 28-29! For more information about the 2018 Summit Racing Equipment Atlanta Motorama or to purchase advance tickets, visit www.atlantamotorama.com or contact the Atlanta Motor Speedway ticket office at (770) 946-4211 or (877) 9-AMS-TIX.